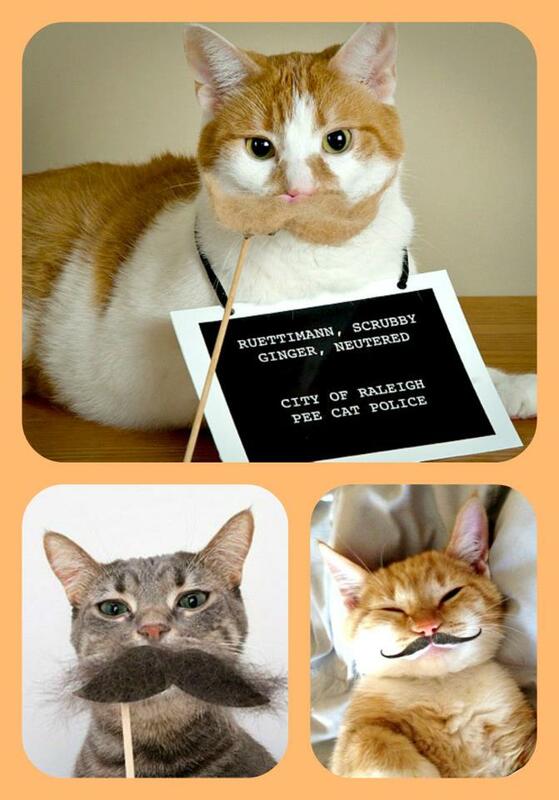 Yesterday was National Hairball Awareness Day and these Moustache Cats want you to be aware of how uncomfortable hairballs are and of how much better it is for loose hair to be a moustache than a hairball. If you live with a cat, you probably find gooey, soggy hairballs around your house (my bare foot discovered one the other morning). Grooming your feline friend regularly will help to reduce them. However, most people think that hairballs are a normal part of kitty life, but this is NOT true. Did you know that more than one or two hairballs a year is not normal?